Ahmed Mekky, began his promising career in the telecommunications and technology sector nearly 20 years prior, and since then has hit both the industry and region by storm. In 2008, he co-founded Gulf Bridge International (GBI), the regions first-ever privately owned telecommunications service provider that operates its own neutral submarine cable connecting the MENA region to Europe, Africa and Asia. Under his seven year leadership with the company as CEO and board member, Mr. Mekky has guided the company to expand its cable reach from the initial 13,000KM stretch to 40,000KM, successfully route 30% of the total GCC usage through the GBI cable network, and been awarded a number of prestigious awards including Best Telecoms Technology Investment and Best Niche/New Player in 2012 by CommsMea and Capacity Europe respectively. In 2012, he was elected by Pacific Telecommunications Council as the first and only Middle Eastern CEO to their Board of Governors for a 3-year term commencing in 2013. In the same year, he was also included in Global Telecoms Business (GTB) Power 100 list, appointed to the board of ITIDA, as well as the board of the Italian Egyptian Business council to facilitate economic relations between Italy and Egypt. In 2013, he was again included in the GTB Power 100 list (ranking 63rd globally), he was appointed as a member of the Industry Committee of Telecommunications Regulatory Authority of Egypt (NTRA) and later shortlisted in the “CEO of the year” of World Communications Awards. In 2014, Mr. Mekky was awarded with the CEO of the year award for the telecommunication category at the CEO Middle East Awards for his outstanding achievements in GBI. He also secured the 59th position of the top 100 most influential leaders in the communication sector on a global scale in GTB that year, renewed his chairmanship in SAMENA Council for Telecommunications Sector and was later nominated and shortlisted for the CEO award in World Communications among 20 worldwide. In 2015, he was appointed as Member of Egyptian Kuwaiti Cooperation Council and continues his tireless pursuit of the betterment of telecommunications industry in the region. In 2016, he shifted his focus on his next mega-project, FiberMisr which is an entity established for the sole purpose of building and optimizing SMART city solutions worldwide. Mr. Mekky has and continues to be an inspirational asset to the field of telecommunications and technology, and hopes to put both Egypt and the MENA on global ranks for connectivity and advanced technology. Mr. Mekky graduated with a B. Sc. In Communications and Electronics Engineering from Cairo University, and later completed both his Pre-Masters in Computer Engineering from Cairo University, and his M. Sc in ITI from the University of Nottingham. 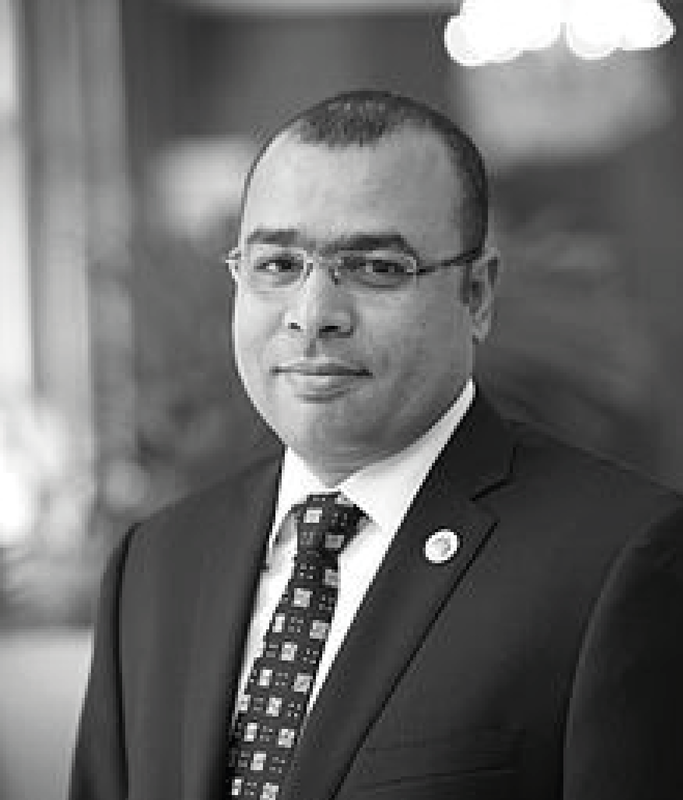 Since that time, and prior to establishing GBI, he has played a crucial role in completing telecommunication infrastructure and satellite communication solutions for several companies including Madar Telecommunications, Falcon Stream, and Zaksat.